Feminist Approach to Technology works to challenge stereotypes and empower girls and young women by teaching them STEM skills. 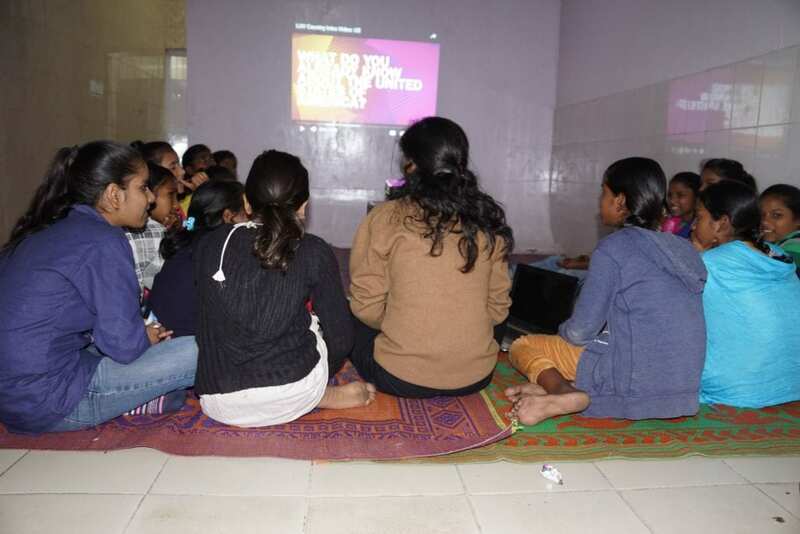 The organization, which serves girls in South Delhi, began working with Level Up Village in early 2017. In LUV’s Global Web Designers, students are learning web design skills, as well as how to navigage the internet. Level Up Village recently partnered with Feminist Approach to Technology in India, an innovative organization working to challenge societal stereotypes and empower girls in marginalized communities through the acquisition of technology skills. “The girls we serve come from very poor communities in South Delhi and often begin working at an early age as domestic workers, just like their mothers. If not, they are often married off,” said Gayatri Buragohain, Executive Director for Feminist Approach to Technology. 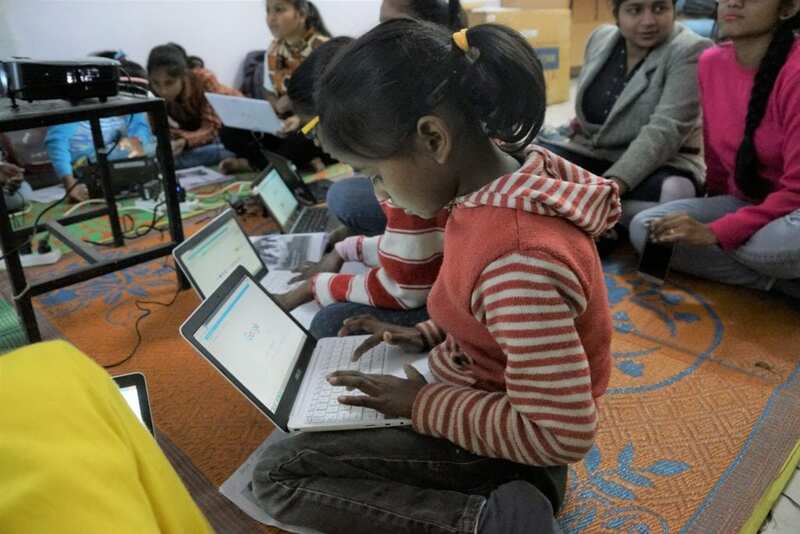 To help change the trajectory for underprivileged girls, the organization recently opened Jugaad, an Innovation Lab, where girls are learning STEM skills through hands-on activities. This early exposure to STEM is laying the groundwork for further STEM studies as the girls progress through their schooling. A group of girls, whose parents are migrant workers, are now collaborating with partner students at All Saints Academy in Grand Rapids, Michigan, in LUV’s Global Web Designers course. “Learning and working on Global Web Designers has been a really exciting journey for the girls, as this is the first time they are getting to learn and explore the realm of the internet. This will only enhance their skills for future endeavors they wish to take up,” said Gayatri. In Global Web Designers, the girls are learning about global climate change and building websites that explore alternative forms of energy such as hydro, wind and solar together with their U.S. partners. Students with Feminist Approach to Technology discuss what they have learned so far in their LUV Global Web Designers course. They have gained considerable confidence in their English communication skills due to their video message exchange with their U.S. partners. The connection with students in the U.S. has led to a lively back and forth between students and more than a couple memorable moments for the teachers. Another surprise was the girls’ determination to communicate only in English. The girls have used this online tool to translate everything they want to say in their video letters to their U.S. partners, as well as the text they want to add to their websites. This has not only reduced the burden of the instructors but has also been a great opportunity to further develop their English skills, explained Gayatri. By acquiring English proficiency, the girls will also be in a position to pursue even more opportunities in the future. Level Up Village is already working with Feminist Approach to Technology on which LUV courses the organization will offer to its girls in the coming months. To learn more about the organization or to make a donation to the Jugaad Innovation lab, click here. Here, students watch a video to learn more about the United States as part of Global Web Designers. In this course, students are co-designing websites with partner students in Michigan..